Who says yoga is easy?? 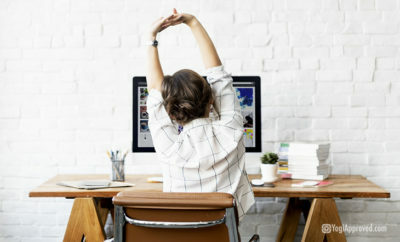 One of my favorite things about yoga is that each asana, or posture, can be modified to create a custom and unique practice. That means you can modify for less intensity or, like we’re going to do today, for more intensity! This article is all about five yoga poses you can convert into a cardio workout. A cardio workout is any activity that moves your body and elevates your heart rate. We need to incorporate cardio into our workout routines because it is great for your heart. These workouts will increase your endurance and strengthen your heart. Each of these 5 yoga poses has two ways you can turn it into a cardio workout. As always, remember to take it at your level. Grab water or rest when you need to! Plank Pose strengthens your core, tones your arms and glutes, and is already a great full-body workout on its own. To add a cardio workout we’ll incorporate mountain climbers and plank jacks. From Plank Pose, draw your right knee to tap your right elbow. Bring your feet back together, and switch to tap your left knee to your left elbow. You get to choose your pace! Stay nice and slow with it, or take it up to a jogging pace to really get your heart pumping. Practice 10 rounds (one round is right knee and left knee). Hold a strong Plank Pose. When you’re ready to start, hop both feet away from each other and then back together. Keep your shoulders stacked over your wrists and your core engaged the whole time. Practice 10 jacks. Chair Pose strengthens your quadriceps, back, and glutes while stretching your chest and shoulders. Sit your hips as low as they’ll go while simultaneously lifting your chest up for a very strong variation of this pose. From your Chair Pose, hover your right foot forward and flex it. Start to lift and lower your hips about an inch in each direction. Keep your core strong, and find a fairly quick pace. Practice 10 squats on each side. Nothing like a little plyometrics to get your heart pumping! Gather your energy in Chair Pose and squat low to jump as high as you can. Fully extend your body (straighten your legs and back) as you jump up. Land back in Chair Pose and do it again! Practice 10 jumps. Crescent Lunge strengthens your legs and back while stretching your hip flexors, chest, and shoulders. 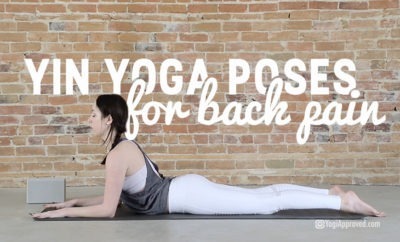 This pose also helps you improve stability and balance. Find Crescent Lunge with your right foot forward, then jump high to switch your feet so your left foot is forward. Pause for just a moment before jump switching again. Practice 10 rounds (one round is both sides). Option: place your fingertips on the mat for better balance. From Crescent Lunge exhale to drop your back knee to hover over the mat. Inhale and bring your knee back to Crescent Lunge. Practice 10 dips on each side. Down Dog lengthens your spine and hamstrings while strengthening your wrists, shoulders, and ankles. This pose is also an inversion, which means it’s extremely beneficial to your heart and brain. Check out this article for even more Down Dog and Plank Alignment tips. Shakti translates to the divine feminine. I have to admit, I don’t know why these little guys earned the name “Shakti Hops,” but I love feeling that divine feminine connection! From Down Dog, lift one leg to the sky. Hop up with your supporting leg and engage your core to hover momentarily with both feet lifted. Aim to hop so your hips shift towards (or even over!) your shoulders. This is a great exercise to build Handstand strength. Practice 10 hops on each side. From Down Dog, lower your one forearm to the mat at a time. Then, pretty immediately, shift back up to your hands. The trick is to keep your core engaged and your hips as still as possible here. Bonus points for doing it in Three-Legged Down Dog. Practice 10 push ups. Boat Pose is one of my favorites. It strengthens and tones your entire core (back included), and helps lengthen your spine. Balancing here on your tailbone also helps you improve balance and coordination. Just imagine you’re a flawless mermaid swimming through the ocean. From Boat Pose, balance yourself on your right hip. Stay balanced as you extend out to a Low Boat on your right hip and then crunch your elbows toward your knees. Bonus points to tap your fingers to your heels. Practice 10 crunches on each side. Extend out to Low Boat, hovering your torso and legs just above the mat with your palms facing up towards the sky. Kick your heels like you’re swimming quickly and slowly count to 10. Rest by lying completely on your back. Practice 3, 10 count rounds. And Just Like That . 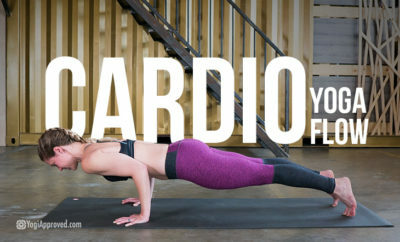 . . Yoga Becomes a Cardio Workout! As a Power yoga instructor, I love challenging myself and my students with these fun variations of yoga postures. The key is having fun, not taking yourself too seriously, and seeing these challenges as play time. I hope you enjoy! What yoga poses do you like to intensify and play with? Tell us in the comments! Core sliders aren’t all created equal. 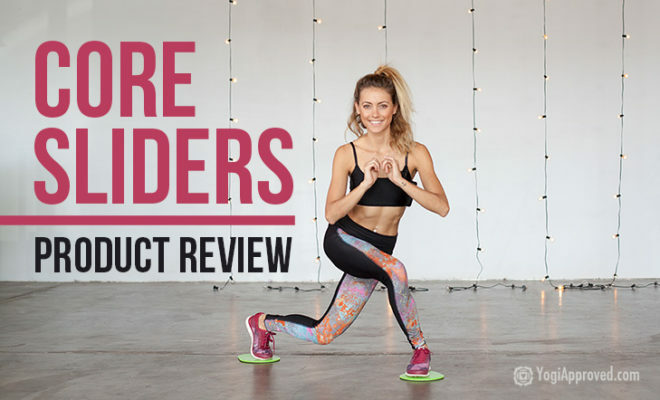 In this product review, find out what makes the Slider X Gliding Disc Core Sliders by Epitomie Fitness so unique.